The following review is on the product 5-HTP. This supplement is manufactured by Puritan’s Pride. The manufacturer of this health product claims that it 1) is the precursor to the neurotransmitters serotonin and melatonin, 2) enhances the manufacture of serotonin that creates a feeling of well-being, allowing for sleep regulation and satisfaction, 3) promotes a relaxed mood, 4) alleviates anxiety, depression and stress, and 5) assists with weight loss. 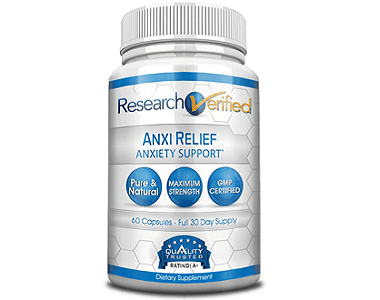 Continue reading for more about this anxiety supplement. 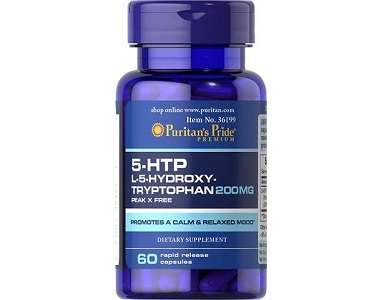 5-HTP (L-5-Hydroxytryptophan) (from Griffonia Extract) (Griffonia simplicifolia)(seed) (200 mg) – this substance is a chemical by-product of the protein building block L-tryptophan, sourced from a plant; it can avert anxiety. Inactive ingredients: dicalcium phosphate, gelatin, silica, vegetable cellulose, and vegetable magnesium stearate. As this product contains gelatin, it is not suitable for vegans or vegetarians. This product does not contain a night time formula. More so this formula does not contain melatonin essential for dealing with anxiety-related insomnia. This separate nighttime anxiety formula could aid sleep, balance sleep or wake cycle, regulate circadian rhythms and promote restful sleep. 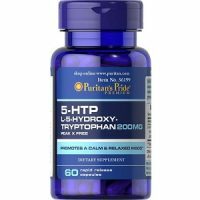 How Do You Use 5-HTP? The manufacturer of this dietary supplement suggests that adults take two (2) capsules once per day as needed, alternatively at bedtime, as the active ingredient 5-HTP could lead to drowsiness. There is no indication of whether the capsule should be taken with or without food or water. This product is available online. The manufacturer of this health product ships this product within the boundaries of the Philippines only. International costumers need to buy this product from third-party sites. The product is available on the third-party site Amazon at $12.75. No discounts or package deals are offered by the company. The manufacturer of this health supplement does offer a 30-day money-back guarantee on orders given within the Philippines, however, this guarantee does not extend to international orders. Any orders given on Amazon will be subject to their standard guarantee policy. The buyer has 30 days in which to return the item, but the goods must be unopened and the consumer will have to cover the costs of the shipping fee. 5-HTP seems to be a useful product. It comes with a 30-day money-back guarantee (although this pledge is not extended to international orders). The formula contains an ingredient which may possibly be effective, leading to drowsiness and sleep. Despite these positives, there are certain negative aspects, including the lack of a cGMP certificate that could have guaranteed the quality of the ingredients. The product is presented in gelatin capsules, making it unsuitable for vegans and vegetarians. Furthermore, this product is not offered in package deals with discounts that would have made it more economical. Last but not least, this product has many side effects. Pregnant women and nursing mothers cannot use this product, and those on prescription medication should consult their doctor before using this product. More so, this product can lead to drowsiness.